A $285M revitalization project for the downtown Niagara Falls area. This fast track project has multiple major components including a 150,000 SF Casino, a 5-story parking garage, a 26-story 600 room hotel and spa, a bus transportation depot and a central utility plant. A complex design team led by JCJ Architecture (Conn.) working with an on-site construction manager completed the design and construction of these projects in various phases. 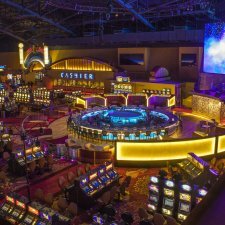 The fire suppression system includes two (2) diesel engine driven fire pumps, a complete horizontal/vertical automatic standpipe system and automatic sprinkler systems throughout the Casino and Hotel. The primary challenge was the tight project deadline for Phase 1 with design and construction of the $80M completed in less than 3 months. 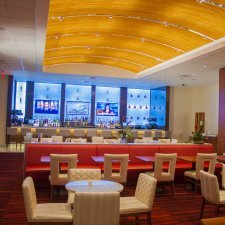 M/E’s experience on this project ranged from a complex design-build effort to a more traditional design-bid-build on the later phases of this project. In each case, M/E was able to provide the engineering staff with the skills to complete these complex projects in a very fast track method. 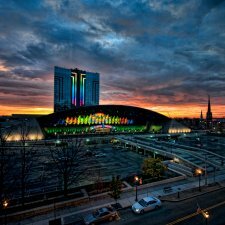 Phase I - This project included the conversion of the 150,000 SF Niagara Falls Convention Center into a new Gaming Facility. 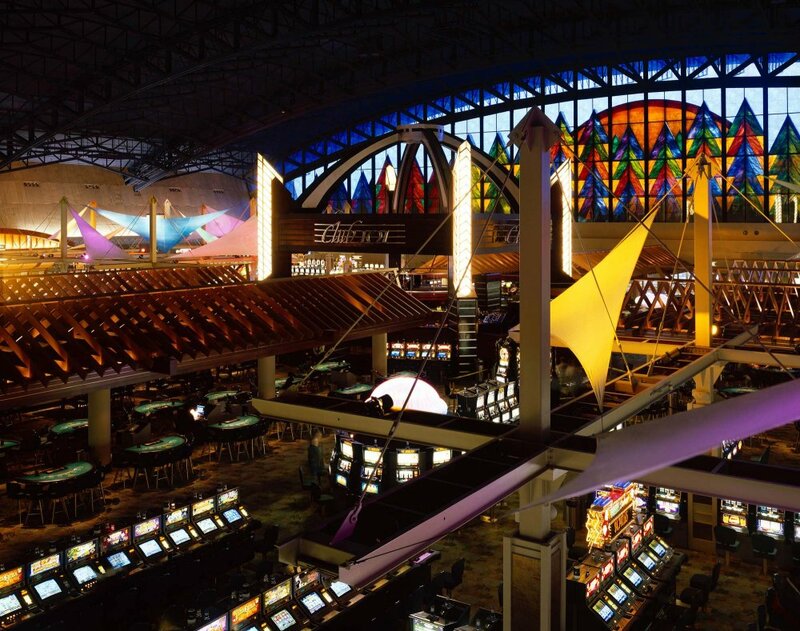 With construction manager overview, the project was designed and construction was started in October 2002 and this $80 million Casino was open and operating for New Year's Eve 2002 (less than three months of very fast track design and construction). 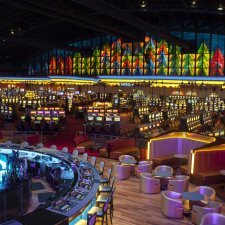 connected to the existing Casino. 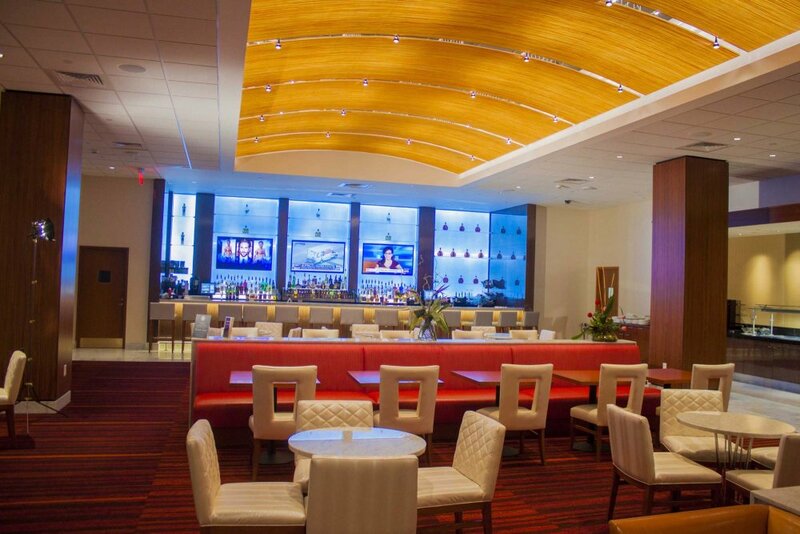 This 504,000 SF facility includes additional gaming areas, three restaurants, kitchens, back of house support areas, spa, pool, meeting rooms, retail, and a 1,500 person multipurpose room. 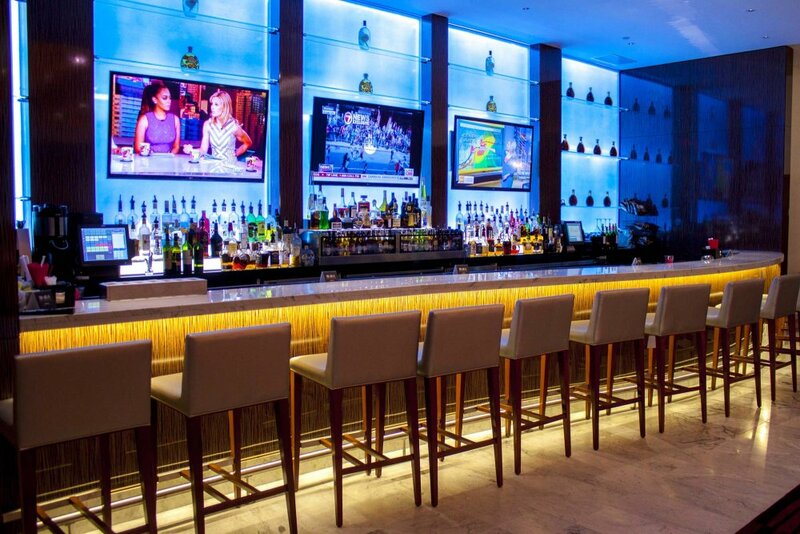 This project included new HVAC, fire protection, specialty lighting, IT, and plumbing systems. 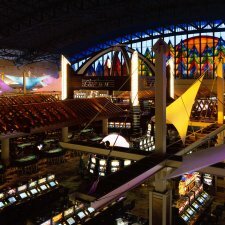 The Architect, JCJ Architecture, won the G2E Institute 2007 Casino Design Award for "Best Architectural Design for a Tribal Casino/Resort" for this project. Addition of 5-story, 2,000 car integrated parking garage. Lighting for vehicle identification and personal safety was paramount. 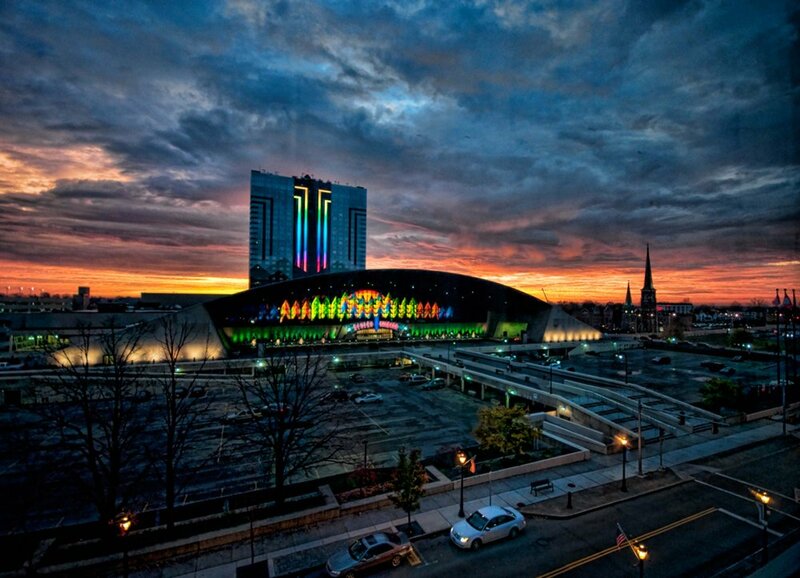 Communications and alarm systems were integrated with Casino Security. New facility was constructed to house 3-2 MW generators for primary electrical generation; 2-800 HP boilers and 2-1400 ton chillers that serve the Spa Hotel. Created a new kitchen and dining facility for more than 1,000 employees. 24/7 operation and isolated supply and exhaust HVAC systems. 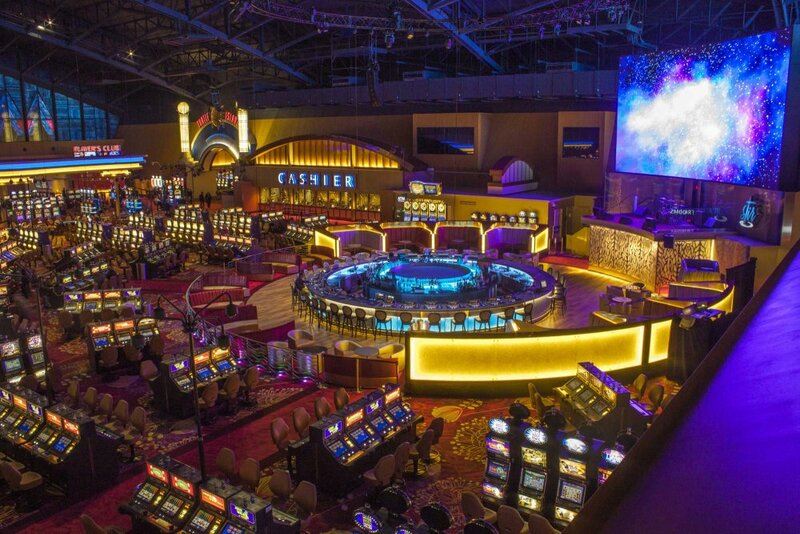 Reconstruction of existing space into a high-end, high limit slot area. Provided a separate Poker Room from shell space with 2 subsequent additions. Created the “penny arcade” with 300 penny slots in a previously unused mezzanine space. 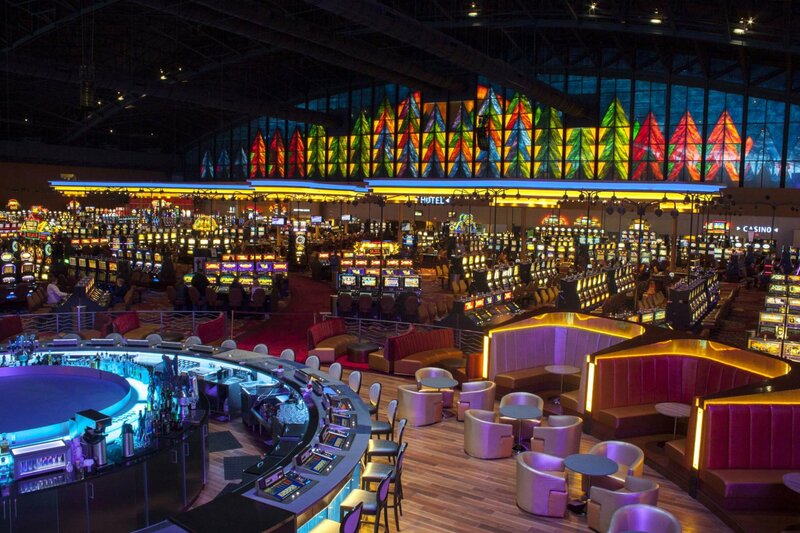 To meet the need for a smoke-free zone, an isolated non-smoking slot machine area was designated and tightly controlled with independent HVAC supply and exhaust. 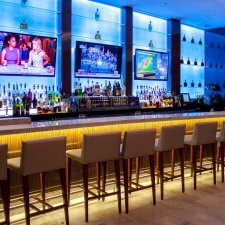 Created a new Steak House Restaurant with independent services. A new transportation hub for buses was constructed.